If you live in Weston MA. Aquifer Protection District. Please be aware of a Weston By-law that could affect the way you use your property and its resale. For more information review the map provided by the town and get informed. A lot of people are worried these days about how electromagnetic forces and signals might affect our bodies. Many people don’t like living near large antennas such as cellphone towers or radio towers, and many people also don’t like the idea of living near high tension lines. Many recent studies have contradicted earlier studies by showing little or no consistant link between electromagnetic fields and cancer or other illnesses. However, for many people, this is not enough. Our bodies are being bombarded by more man made radio waves and other electromagnetic signals and forces then ever before. Your cellphone may be transmitting a signal powerful enough to travel miles, and on many different frequencies. Deadline to submit Warrant Articles by Citizens’ Petition is February 23rd. Petitions must contain the wording that will appear on the warrant. 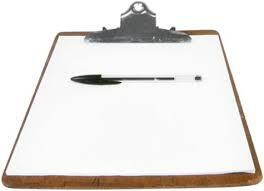 To include an article on the warrant for annual town meeting, signatures of 10 or more registered voters are required. To include an article on the warrant for a special town meeting, signatures of 100 or more registered voters or 10% of the Town’s registered voters, whichever is less. As of December 31, 2008, there were 7673 registered voters; therefore, 10% would be 767. To petition the Selectmen to call a special town meeting not already scheduled, signatures of 200 or more registered voters, or 20% of registered voters, whichever is less, are required. The meeting must be held not more than 45 days after receipt of the petition. It is strongly recommended that more than the minimum number of signatures be obtained, to allow for the fact that some signers may not turn out to be registered voters. Come to the meeting with your questions. This has been an extreme year for real estate in Weston with a record number of foreclosures and/or short sales making their way into the marketplace such as: 269, 277, 479 and 505 North Ave, 18 Pine St., 58 Apple Crest Rd., 11 Bayberry Ln. 173 Conant Rd., 375 Highland St., 33 Skating Pond Rd., 300 Glen Rd. and others. Turmoil in the nationwide real estate market can be seen in the values of spec-built homes over $5 million; for a case in point, take 300 Glen Rd. It was originally listed for $5,999,000 and reduced to $4,995,000 when it sold to FNBI Realty LLC after being on the market 655 days for $3,549,000 on 11/13/09 and then immediately put back on the market for $3,995,000 where it remains currently available. 30 Old Rd. went off the market 9/21/09 after being listed for up to $6,350,000 for 955 days. We saw discounting at 18 Walnut Rd. originally listed for $4,795,000, and sold for $3,350,000, after 587 days, and 281 Country Dr. originally listed for $4,950,000 and sold for$3,775,000 after 528 days, and yet an off market purchase on 75 Cart Path for $3.7, 33 Skating Pond for $4,725,000, and a number of other off market pendings over $4,000,000 continue to show a market resilience and strength that is unique to Weston. As of Jan. 4 there are 57 Single Family properties listed for sale in Weston with a record number of properties listed above $7 million, having recently come on the market and/or currently listed off market ie. 22 Pelham Rd. for $7,175,000, 15 Dogwood Rd. for $10,000,000, 85 Chestnut St. for $8,475,000, 75 Doublet Hill Rd. for about $20 million, and 5 Willow Rd. the most expensive for $24,500,000. Clearly this is a new market in Weston with the very high end attracting buyers from all over the world. 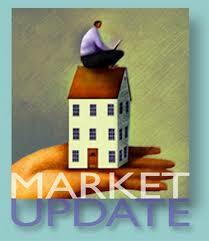 I expect a better 2010 spring market than 2009 fueled by attractive interest rates that are unlikely to last at current historic low levels, movement under $800,000 due to the federal home buyer credit program, and more buyers moving into Weston in the under $2.5 million market because improved statewide and nationwide market conditions allow them to sell elsewhere and relocate. There has also been some downward pressure where buyers who may have been looking in the $3 million+ range are now looking in the under $2.5 million range. 2009 has seen the tax rate in Weston hold steady with some talk of an increase beginning to circulate. After some modifications $13,000,000 in appropriations were made for a new DPW at May town meeting. The construction is well underway. The Josiah Smith Tavern/Old Library caught the attention of many a Weston tax payers when the Selectmen-appointed committee requested an additional $350,000 in funds to continue their research as to the best use of the two beloved structures. Around 1000 residents showed up at the special town meeting in November and after heated debated voted down the request for additional funds 435 to 545. I haven’t seen a town meeting turnout even close to this large since the heated rail trail issue in 1997, and that was at the big annual May town meeting. This leads me to think that when we address this issue again in May 2010 we may see another very large turnout. On the affordable housing front, at the May 2009 Town Meeting Weston approved a plan to build one new rental duplex at 23 Pine St. The Case Estates clean up has taken many unexpected turns with concerns about clean up, dust, moonscape, and resale prompting Harvard University to present an alternative plan at what seemed like a moment’s notice on December 17th. No one seems to know what will happen next but we will learn more at a meeting slated to take place sometime at the end of January with no confirmed date set. Planning for future improvement or replacement of the Field School has not been a topic of great debate, there is a bit of a discussion as to whether the building should be preserved and restored to its original 1950’s glory or completely demolished with a brand new school building designed. Various applications and requests are before the state and federal government to find out if any of the costs related to improving/replacing the Field School can be offset with fund matches. We are likely to hear more about Field School at May Town Meeting. A very enterprising group drew up an exciting plan and received an almost unanimous vote for $750,000 to study the addition of a new state-of-the-art Science wing at the High School which will continue to keep Weston students at the forefront of scientific study for years to come!